How's the head this morning? Have a fun time last night? Maybe you've swore a resolution to eat healthier in 2017, but when you are partied out you don't find a remedy in a salad. New Year's Day is the time for pizza. A great big takeaway pizza. 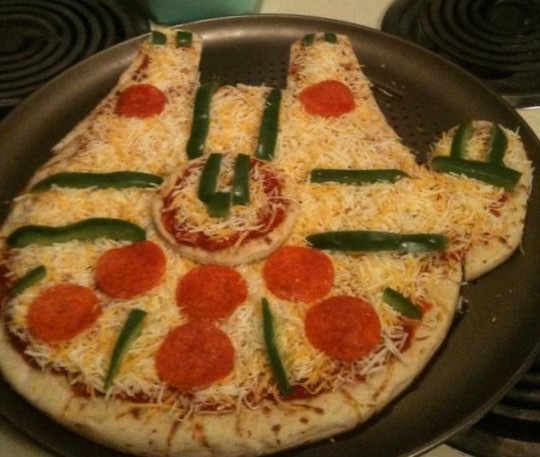 While you are waiting for delivery, enjoy these Star Wars themed pies.